Liu Xiaobo was jailed for 11 years in 2009 for “inciting subversion of state power”, after he co-signed a call for political reform in China, known as Charter 08. Amnesty International recognized him as a Prisoner of Conscience, detained solely for exercising his human rights. 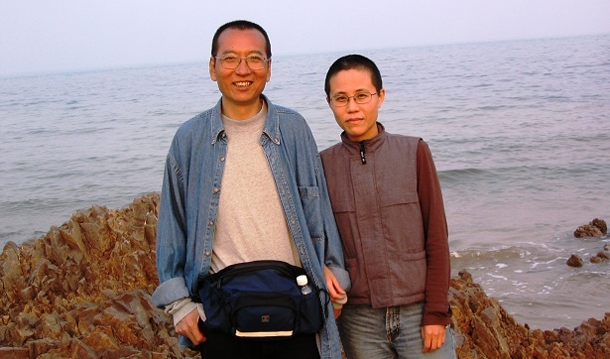 In an attempt to impose a news blackout on Liu Xiaobo after he obtained the Nobel Peace prize in 2010, the Chinese authorities systematically harassed and intimidated his family and supporters. Liu Xia has been unlawfully placed under house arrest for the past seven years to prevent her from communicating with the outside world. Among growing international condemnation of China’s treatment of Liu Xiaobo and Liu Xia several foreign governments have offered to transfer and treat Liu abroad. Last Thursday, Amnesty International joined 153 other Nobel Prize Winners in a letter to Chinese President Xi Jinping calling for the couple to be allowed to travel abroad. “Liu Xiaobo is an inspiring figure whose only crime was to speak truth to power. He should never have spent a single day in jail, an injustice made even more tragic by the fact that his cancer was not diagnosed until it reached terminal phase. President Xi Jinping must do the right thing and order his immediate release,” said Salil Shetty.